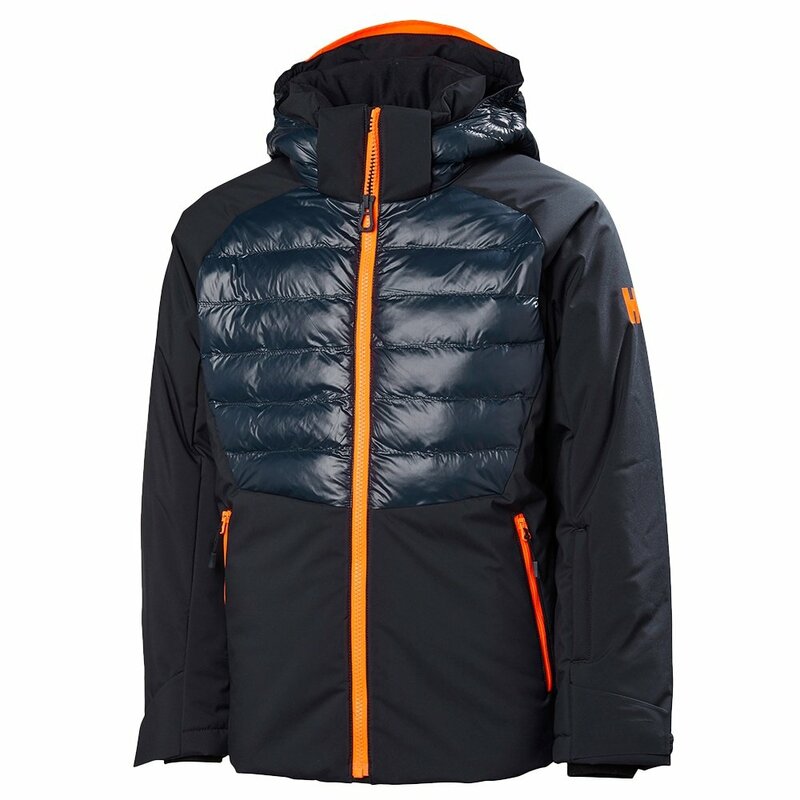 The Helly Hansen Snowstar Insulated Ski Jacket is a puffy that performs like a full ski jacket. Lofty insulation below the waterproof-breathable fabric keeps the upper body warm on chilly days. The wrist gaiters and adjustable powder skirt seal snow and cold out, while a detachable hood allows for added coverage. In a more modern update, Helly adds a Life Pocket™ for preserving smartphone battery life. And because you want to be sure your kids are safe on the mountain, the Helly Hansen Snowstar Insulated Ski Jacket features a RECCO® reflector for added safety.